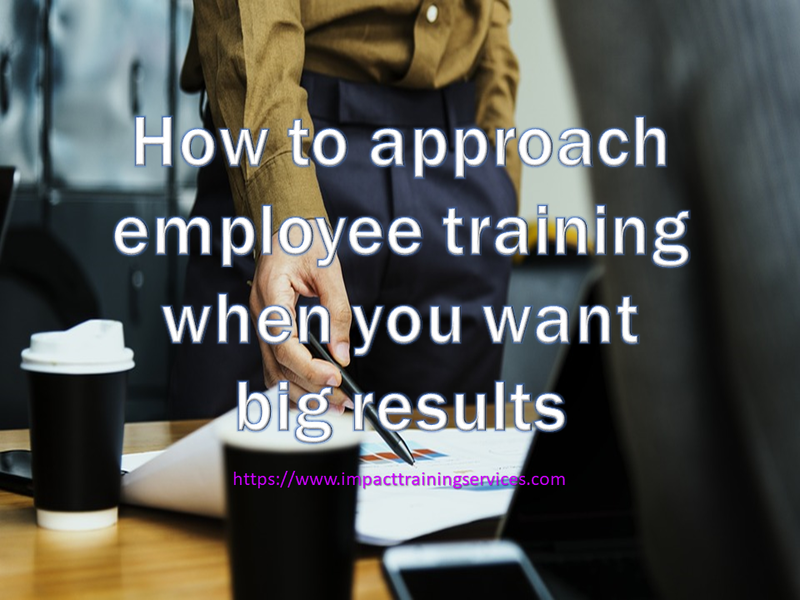 You are here: Impact Training & Development Services > The Business Box Blog > Employee Development > HR for Small Business > How to Approach Employee Training When You Want Big Results! Employee training and development is a must for your for small business. At some level, you know that investing in employee training and development is necessary for you to compete in today's market. You also know that one of the best ways to attract and keep talented employees is through talent development. When employees are empowered and allowed to perform at their best, the results are better than any marketing campaign can produce. But yet you continue to approach anything to do with employee training as casually as selecting a T-Shirt to wear to the gym. You don't believe me? Then here's an actual scenario from my "bright orange" training collection. Now consider the following scenario. ME: “Lorna Barrow, good morning!” smiling professionally into the phone. ME: "How do you know a session on Report Writing" will solve your problem? VOICE ON PHONE: "Well...my friend had a similar problem in her business and your report writing training was a great help to her..."
ME: "Was that all she told you?" VOICE ON PHONE: "Yeah...Was there more I needed to know?" Listen, requests like these confirm to me that you're not serious about investing in employee training. And I can boldly suspect that when you don't get the results you're looking for, the Training Provider will take the fall. Look, I'm aware of your limited training budget and all your other constraints like allowing time off from work for your employees. But are you aware, that the manner in which you approach training is the very thing that's screwing you over? Do you know that how you perceive the role of training in you business really matters to how much you spend and the results you get? And...do you even have have any real idea what is involved in the process? Training and developing your employees impacts your bottom line and ultimately determines your survival. To keep your business alive, I am sharing with you, the top 5 worse approaches to talent development by small business owners. These come entirely from my 20+ years of delivering training to the small business sector and from robust discussions with my colleagues. But I will not stop there. I will give you actionable tips which you can implement right away to change your outcomes. And when you do, you will get the results for your training investment which up to now has eluded you. Instead of working with Training Providers to identify your training and development needs, you prefer them to offer you a list of topics. You want these topics to be neatly numbered so that that you can effortlessly select “5, 8, 17 and 21” Oh! And you’ll have fries with 17! This approach leads to a hit or miss (mostly miss) on the effectiveness of the training. Your employees are usually shoveled into workshops for which they are ill-prepared. This often means they will be trained by trainers, who have little knowledge of the critical aspects of your business. Therefore, they cannot truly help you. The results are frustrated employees who might not have acquired the skills they need. Confused Business Owners who paid for training to “hard-headed, ungrateful” employees. And resentful trainers who delivered to the client’s requirements and are now hearing that their programs were ineffective. A much better way of determining where and how your business can benefit from employee training, is to conduct a comprehensive analysis of that business. This is usually done through a SWOT Analysis. Examine where you are now against where you want to be in the next 3 - 5 years. This is really your vision. In this scenario, you will determine the type of employee skills and attributes you need now and in the future. This is called a training needs analysis. The good thing is that this needn't be an overly complicated exercise. And it will introduce the important elements of discipline, focus and cost-efficiency into your process. When you take this approach, you place yourself in a better and clearer position to get the big, tangible results that you want from your talent development investment. Unfortunately, this is a belief that is held by many business owners and even some trainers as well. But not every problem can be solved by training. Some problems may require a coaching solution. Some can be directly linked to the systems that are used by the business. And in some instances, it’s a case of poor recruiting that no amount of training will solve any time soon. At ITDS, we don’t mess around with this! As part of our discovery conversation, we ask questions such as the ones below and we listen carefully to the answers. Is there a gap because employees don’t know how to do the required work or because they don’t want to? Is there a gap because there is no recognition for performing well and/or no consequence for not performing as required? Are your employees intellectually/physically capable of doing the work? Do the employees already have the job knowledge and need the right attitude to complete the work? Are employees positive about their work and intellectual/physical capable of doing the job, but need training to go to the next level? Is your business ready to accept and reinforce new behaviors? We thoroughly analyse the client's answer to these and the other questions in our questionnaire. When we're finished, the client is advised if they really have a training need, and why we are their training provider of choice. What I want you to do, is to ask yourself these questions, and any others you think of, BEFORE you approach a training provider for any company-wide employee training. In addition, these questions can also serve as a guide to the nature of the conversation you should have with the training provider. "Come on Lorna! What are you talking about this time? Training as a punishment? No!" This was the response I got from a potential client when I suggested that she was using training as a punishment. She said "no!" I say “Yes!” because I see it much too often for my liking! First, you need to understand punishment in this context. Let’s describe it as a course of action that is taken after an undesired behavior and is designed or intended to reduce or eliminate that unwanted behavior. A group of unhappy employees complain to their employer about a number of unsatisfactory working conditions and lack of caring by that same employer. The seething employer demands to know exactly what they want. Like a fine Baptist church choir, they declare “training”. Their employer contacts the next available training provider and requests that they provide “training” not exceeding $X-amount. He's already made up his mind that's all he’s going to spend on these bad-minded, ungrateful employees. This “training” is provided without any specific need analysis, usually by the approach describe at #5 in this post. At ITDS we facilitate many programmes and topics but we don’t facilitate this! Even if you're mad at your employees, attempting to show them up by providing ad hoc training is a complete waste of time and money - resources you don't have large amounts of. A better approach is to maintain your objectivity and really listen to what your employees are saying. Then your next step is to take the approach outlined in numbers 5 & 4 above. Are you making training transfer the underpinning and overarching goal of any employee training you pay for? If you're not, then the training becomes an end in itself and the results can only be poor. That's why your involvement and proper planning are so important. We guarantee our clients that “what is learnt in our classrooms will show up in their workplaces.” You see, we understand the strong association between the transfer of training and the speed at which you experience an overall improvement in your operations. We have devised a number of strategies to ensure that training is consistently transferred from the classroom to your workplace so that everyone gets the results they agreed. The following strategies are those preferred by our repeat clients. You can ask your training providers if they will be willing to use them on your behalf, if they are not already using some version of them. “Learning Contracts" prior to training. This contract requires the participants to list 3 things they want out of the training. 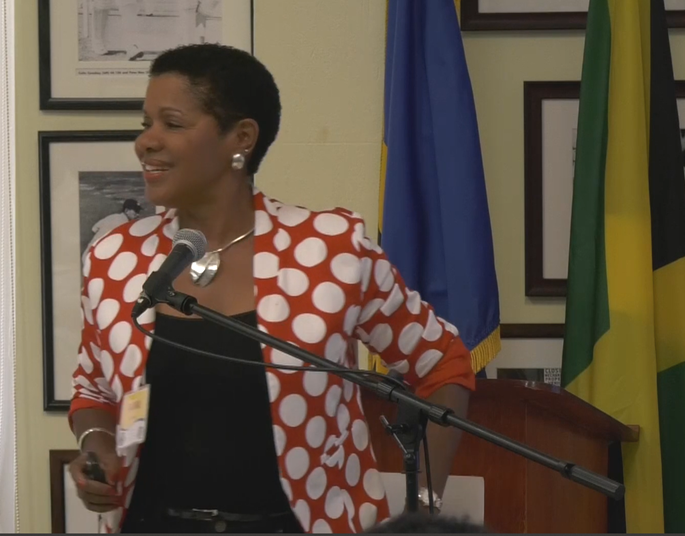 Next the business owners list three behaviors they want their employee to be demonstrating after the training. Then both are required to sign the contract. This gives the service provider a valuable tool for designing the training. A specific number of "9-1-1 hours built into the proposal. These hours allow the participants to contact us afterwards if they realise they didn't "get" something during the training. In this way, they are less stressed in the classroom and they learn more. Agree with the employer/organization to train their staff to industry standards so that they are also being trained for industry-wide employability and share this fact with the participants. Agree with the business owner/participant how "what is learnt in the classroom will show up in the workplace." Creative and unique training methods used in the classroom, based on sound knowledge of adult learning practices, to powerfully engage the participants during training. Spaced practice with new skills, in and out of the training room. I know, that your choice of service provider, is critical to the success of the design and delivery of your employee training and development. I also know that it is equally important for the the transfer of that training from the classroom back to the workplace. So you will understand why I would be horrified, when a potential client begins a potential working relationship, by telling me that a Mr A has already quoted $X and if I could quote him $X-Y, he would be so happy. If this is his approach, what do you think would be his results? You would be very right if you said "hit or miss" all the way to "very unsatisfactory." As far as I'm concerned this is no way to hire a training partner! I’m not afraid to walk away from these situations, without even looking back. What results have other clients had from your programs? What was your responsibility for getting those results? How are your programs different from those offered by other private and tertiary training providers? How can you help us choose the right program? What types kind of materials do you provide? How interactive are your courses? How much experience do you/your instructors have? Do you usually help your clients to get participant buy-in? Can you guarantee that the training will be transferred to my workplace? We answer these questions honestly and completely. We need to ensure that when you begin working with us, you start from a place where you are comfortable working with us. Training and development of you and your employees is the single greatest investment you will make to grow your business. It's not something you want to delay any longer, because you competition is already actively doing it. I have given you enough tips is this post to help come up with a method to implementing a talent development plan for your business. If you believe that you still won't get it right or you don't have the time, contact me now. We have the capabilities to handle all aspect of your training requirements by delighting you without breaking your budget.